The 11th-century village of Al Hajjarah on Haraz Mountains. With an area of 527,970 sq km (including the islands of Perim and Socotra), the country is about the size of Sweden or about twice the size of Wyoming. Other Cities: Aden, al Hodeidah, al Rayan, Taiz (Ta'izz), al Mokha, and al Mukala. Unification of former south and north Yemen: 22 May 1990. Constitution: Adopted 21 May 1990 and ratified in May 1991. Location: Middle East, bordering the Arabian Sea, the Gulf of Aden, and the Red Sea, between Oman and Saudi Arabia. Temperate in the mountainous regions in the western part of the country, extremely hot with minimal rainfall in the remainder of the country. Humid on the coast. Ethnic group: Predominantly Arabs, minor Afro-Arabs, South Asians, and Europeans. Religions: Islam including Shaf'i (Sunni) and Zaydi (Shi'a), small numbers of Jews, Christians, and Hindus. Literacy: about 50% overall, including 30% of females. Agriculture products: Coffee, cotton, fruits, vegetables, cereals, livestock and poultry; Qat (a shrub containing a natural amphetamine). Industries: Crude oil production and petroleum refining; small-scale production of cotton textiles and leather goods; food processing; handicrafts; small aluminum products factory; cement; commercial ship repair. Exports - commodities: crude oil, coffee, dried and salted fish, liquefied natural gas. Yemen has been devastated by a war between forces loyal to President Hadi and those allied to the Houthi rebel movement. More than 7,600 people have been killed and 42,000 injured since March 2015, the majority in air strikes by a Saudi-led multinational coalition that backs the president, who fled first to Aden and later to to Saudi Arabia. The conflict and a blockade imposed by the coalition have also triggered a humanitarian disaster, leaving 70% of the population in need of aid. Due to political unrest in Yemen, the information on this page may not reflect current conditions in the country. Official website of the President of Yemen. Yemen's National System for Information provides general information on the country. Yemen Embassy in the UK. Yemen Embassy in Berlin, Germany. Address list of Yemen Embassies Abroad. National Statistical Office of Yemen. Map of Yemen's Administrative Divisions. Searchable map/satellite view of Yemen. Searchable map/satellite view of Yemen's capital city. Searchable map/satellite view of the port city of Aden. Map of Western Asia and the Middle East region. The 16th-century Old Walled City of Shibam, also known as the 'Manhattan of the desert', is a UNESCO World Heritage Site. The state-run Yemen News Agency Saba's site provides Middle East and regional news as well as articles on Yemen. Official, daily newspaper (in Arabic). Not updated news from Yemen. First Yemeni News Website in Europe (in Arabic and English). Yemen is one of the Least Developed Countries that is highly dependent on declining oil resources for revenue. Petroleum accounts for roughly 25% of GDP and 63% of government revenue. Yemen has tried to counter the effects of its declining oil resources and ongoing attacks on its oil pipelines by diversifying its economy. As part of this efforts, Yemen now exports liquefied natural gas. Official website of Yemen's Central Bank. Invest in Yemen, a guide to business in Yemen. A Joint venture between Cable and Wireless Plc. and Yemen's Public Telecommunications Corporation. Official website of the Aden free trade and port zone. Official website of the Yemen Ports Authority. Discover Yemen: Aden, Al Zabid, Sanaa, Shibam, the Socotra Archipelago. The official site of the Yemen Tourism Promotion Board. Yemen travel, information and services. 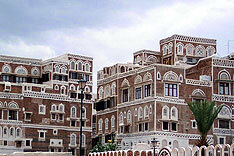 Sana'a is situated in a mountain valley at an altitude of 2,200 m, the city has been inhabited for more than 2,500 years. In the 7th and 8th centuries the city became a major center for the propagation of Islam. This religious and political heritage can be seen in the 103 mosques, 14 hammams and over 6,000 houses, all built before the 11th century. Sana’a’s many-storeyed tower-houses built of rammed earth (pisé) add to the beauty of the site. The 'Manhattan of the desert'. The 16th-century city of Shibam with its impressive tower-like mudbrick-made buildings is one of the oldest examples of urban planning based on the principle of vertical construction. The town, named after Wadi Zabid was the capital of Yemen from the 13th to the 15th century. Tthe city played an important role in the Arab and Muslim world for many centuries, largely because of its famed Islamic University. 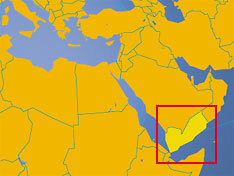 Socotra, four islands and two rocky islets; they seems to be a prolongation of the Horn of Africa. Like Madagascar, the site is of universal importance because of its biodiversity with rich and distinct flora and fauna: 37% of Socotra’s 825 plant species, 90% of its reptile species and 95% of its land snail species are endemic only to this archipelago. Official website of the university (in Arabic). National University at Ta'izz (in Arabic). SIAL offers an Arabic language program in Standard Arabic and Yemeni Colloquial dialect, as well as courses in Yemeni culture. The University of Aden was established in 1975. Very limited natural fresh water resources; inadequate supplies of potable water. Overgrazing leads to soil erosion and desertification. An important region of biodiversity on the extension of the As-sash mountain ranges. 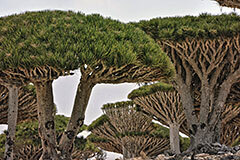 The Soqotra Archipelago contains one of the richest and best-preserved dry tropical floras in the world, of which some 300 are endemic.